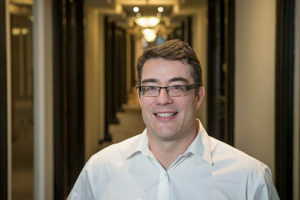 My name is Lewis O’Brien, I am the owner and principal of Lewis O’Brien & Associates – a law firm that caters to the needs of property investors. Our clients vary from those who buy and sell their own home on a very occasional basis, to those that are active property investors and developers. Lewis O’Brien and Associates combines experience with modern technology and commercial acumen, which enables the team at Lewis O’Brien & Associates to consistently achieve the best results for our clients. I look for ways to minimise risks and maximise compliance for our clients with a clear focus on helping our clients to achieve their goals. This extends to educating my clients and other property investors to help them avoid unnecessary risks and maximise their results. I regularly present to groups ranging in size from a few to a few hundred. By combing my expertise and experience I try to craft interactive presentations that are entertaining but more importantly effectively convey key lessons for my audience. I look forward to helping you achieve your property goals.